Back in the not so old days, when you asked kids what they wanted to become, you would have probably got answers like ballerina, doctor, princess, astronaut, pilot, or painter. Back then, social media analyst, PR consultant, or programmer were jobs that most grown-ups hadn’t heard about, let alone children. But times change, and so do people. Of course, there are children who still want to become doctors, and astronauts. But today, there are also children who want to become programmers. And Hopscotch was designed especially for them. 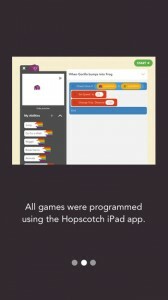 Hopscotch is intended to familiarise your child with the world of programming. Now, don’t imagine he will learn to write actual code. But he will learn how to make a simple play button, or a tap on the screen lead to an actual action. No complicated code, no other program you need to install to write the code, no HTML, or CSS files. 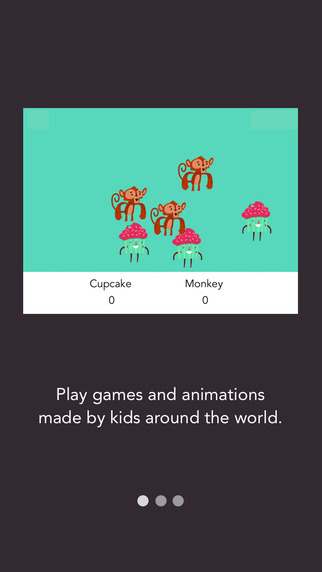 Hopscotch makes programming so easy that even a child can do it. But, don't forget, in the end it is still a kids' app. So, even if it might get you, the grown-up, just as hooked, you can’t use Hopscotch to create your client’s website. But your kid can do some pretty amazing stuff with it. Just pick a character from the list, and start experimenting. Tap on the Play button, and assign an action, or even more actions to it. Following the simple principle of action, and reaction, every tap on the screen, on the play button, or on the character can lead to whatever result your child chooses. From the simple action of making the character run, move forward, or trace a line, to controlling how many times, or from what point to another must the character perform the action. And your kids can either choose the abilities they want to give their characters from a list, or create them themselves. But that’s just the beginning. Your kids can do even more complex, and creative stuff. Complete all sorts of interesting challenges, that will definitely put their minds and basic programming skills to the test. Learn how to make more complex projects, like a mini-website template, a simple game, awesome backgrounds, draw things, 3D characters, clickers, and a lot more cool stuff. And the best of all, after all this learning and going through the basic challenges is done, your kids can even earn an “Hour of Code with Hopscotch” Certificate by making, and publishing one of the awesome games in the Hour of Code Challenge. And there’s always something more to learn. 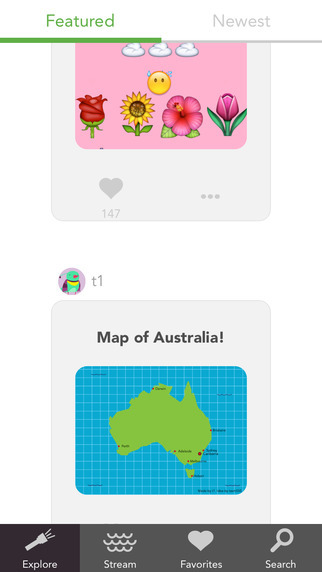 Besides all the To-Do videos, and the challenges, your child can also discover the “code” behind what other users created, and shared with the Hopscotch community. And bring his or her personal touch to these projects others shared. If you would have asked me, when I was a kid, what I wanted to become, programmer would have definitely been nowhere near my list of options. I didn’t even know what a programmer was, or what he did back then. And today, our children don’t just know, but actually get a sense of what programming is, even since they are in Primary School. I think that is absolutely amazing. Even if your kid wants to become a programmer or not. 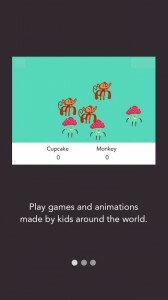 Now, let’s be serious, who isn’t curious about finding out how to make a simple game? I, for one, can’t wait to try it! What do you think of Hopscotch? Scroll down for our comment section and let us know!